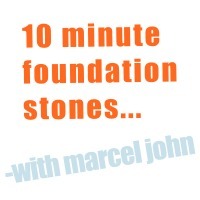 The next in the Foundation Stones series. Listen on this page or right click and download. Marcel John retains copyright to these messages, however you can pass them along freely. Also, comment below if you wish to give feedback on these messages.